As I mentioned yesterday (see H7N9 : Hunan Province Reports 2nd Case In Two Days), while official reporting of H7N9 cases from China has declined in reliability over the past year, recent media reports suggested there were roughly 20 unannounced cases on the Mainland, but where they occurred - and when - wasn't known. Today, via a very brief (and data sparse) announcement from Hong Kong's CHP we are informed of 19 previously unannounced cases, with onsets going back as far as December 21st, hailing from three provinces (Zhejiang, Jiangsu & Fujian). As always, surveillance only picks up those who are sick enough to be hospitalized, and lucky enough to then be tested for the virus. We know that mild and asymptomatic H7N9 infections do occur, but how often, is an open question. This from Hong Kong's CHP. The Centre for Health Protection (CHP) of the Department of Health (DH) today (February 5) received notification of 19 additional human cases of avian influenza A(H7N9) with onset of symptoms between December 21, 2015 and January 25 this year from the National Health and Family Planning Commission, and again urged the public to maintain strict personal, food and environmental hygiene both locally and during travel. The patients comprise 11 men and eight women aged from 42 to 91, four of whom (three men and one woman) have died. 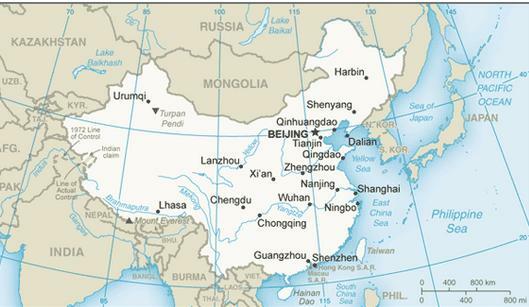 Eleven cases are from Zhejiang, five are from Jiangsu and three are from Fujian. "H5 and H7N9 avian influenza viruses can cause severe infections in humans. Due to the seasonal pattern, our risk assessment shows that the activity of avian influenza viruses is expected to remain at a high level in winter months. Human H5N6 and H7N9 cases have been recorded in the Mainland since this winter. Locally, birds positive for H5N6 were also detected this winter. The public, particularly poultry traders, travellers and those who may visit the Mainland in the coming Lunar New Year, should be highly alert. Do not visit poultry markets and farms. Avoid poultry contact. We will continue to monitor the regional and global disease situation," a spokesman for the CHP said. From 2013 to date, 702 human cases of avian influenza A(H7N9) have been reported by the Mainland health authorities.